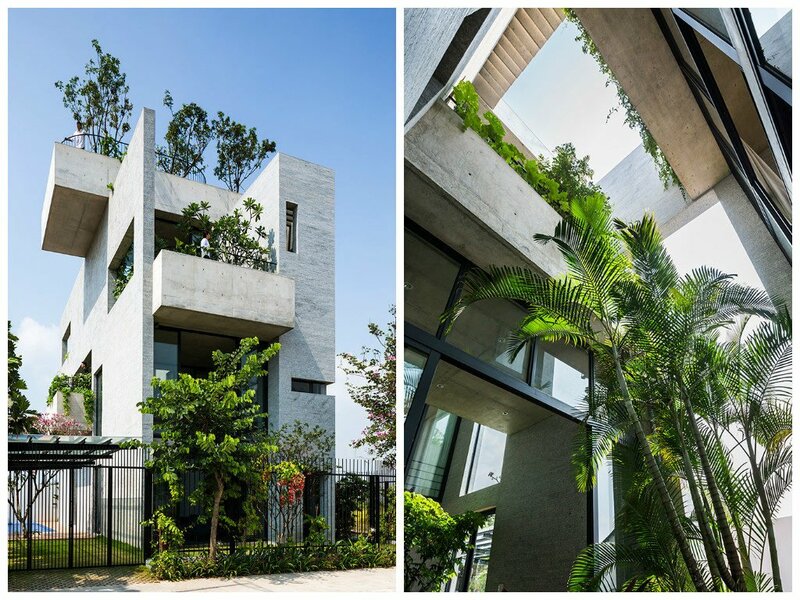 Modern residential architecture styles: The Binh house is ultra modern house plans under the series of house of trees by VTN architects in Vietnam. Contemporary architecture characteristics of this house are express the house design approach of integration of natural elements like water, open spaces and tropical gardens in high dense suburban areas. Actually, these modern residential architecture styles are able to offer each family member a private space as well urge interaction between other space occupants. 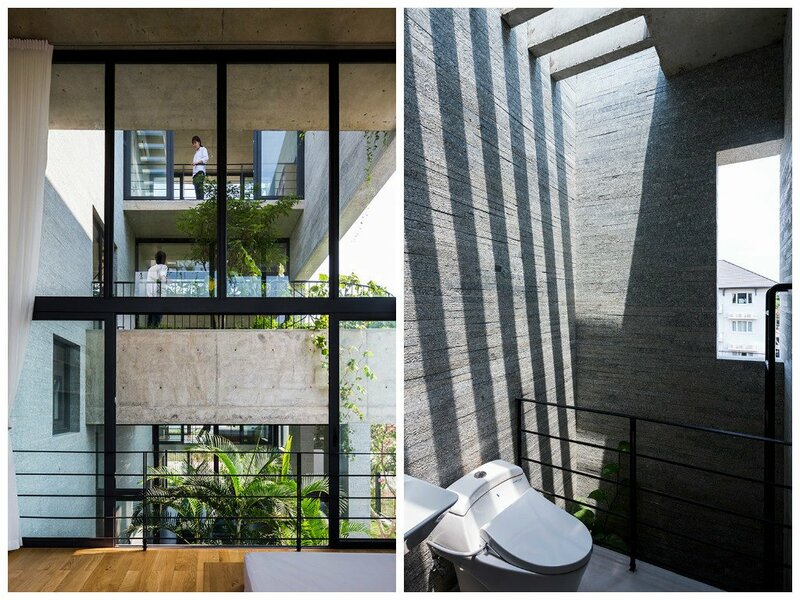 The binh house is design and constructs on the basis of contemporary architecture concept. A straight line, single material and addition and subtraction of masses with the playing of plans/surfaces are the main residential architecture trends. Contemporary architecture materials such are natural stone, wood, exposed concrete combined with the micro-climate, this house reduces greatly working and maintenance cost. 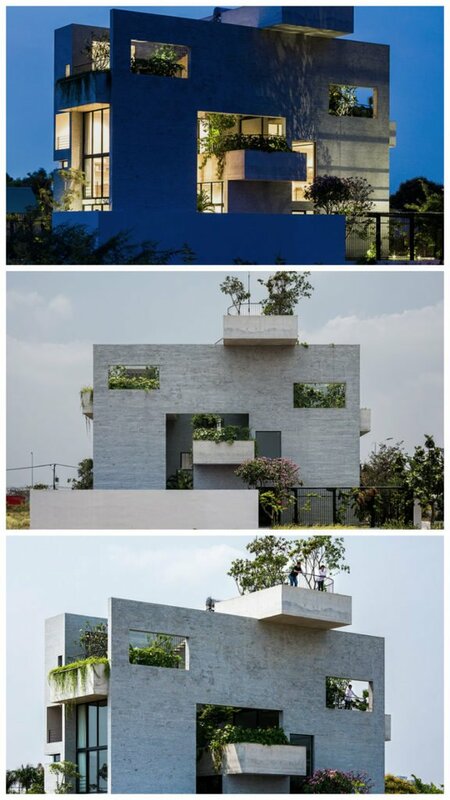 The architecture is not only to meet the functional and aesthetic concerns but also to connect people to people and people to nature, assays by VTN architects. 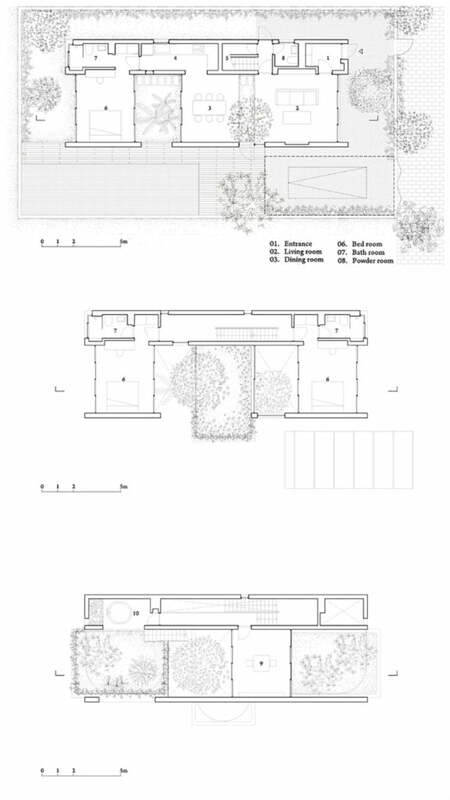 We are collect here an ultra modern house floor plans and modern house designs pictures gallery for study purpose. Also, encourage to young architects around the world to practice towards sustainability, green buildings, and adopt a humanitarian approach in their modern residential architecture styles. 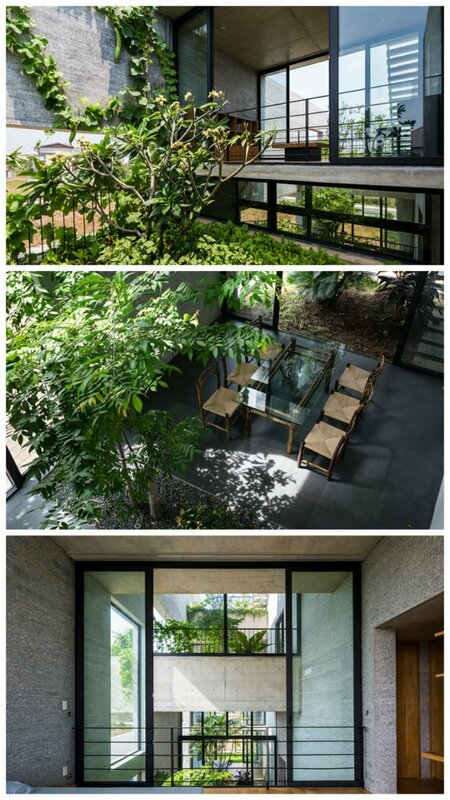 The contemporary house interior is also distinguish their green design approach with adding central courtyard in. There for lights and ventilation of every corner of the house. So, let’s go over the details of modern residential architecture floor plans. 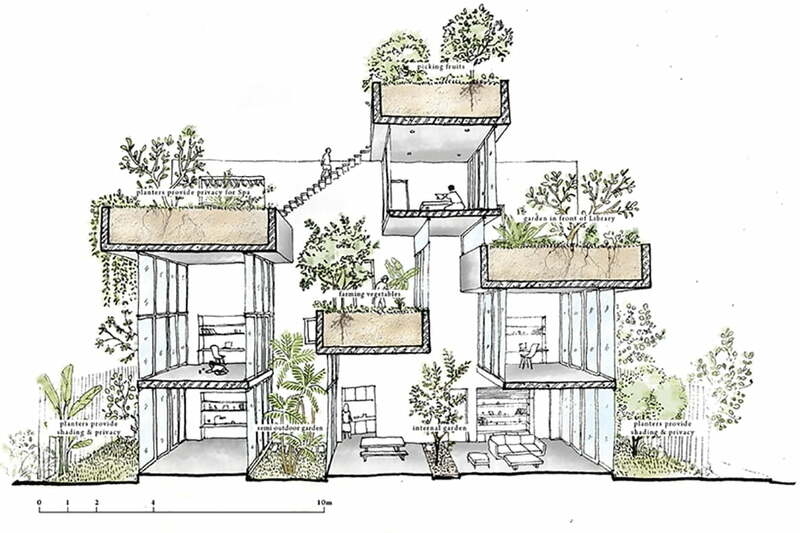 A vertical stacking has been apply to the building’s organization with the gardens and glass walls being bound between the two main concrete facades. This planning strategy improves the micro-climate by introducing natural ventilation and daylight into every room. And at the same time, the alternating openings increase visibility and interaction between the family members. Palms and plants from the different courtyards that link the continuously open living room, dining, bedrooms, and study. The vertical variation of spaces provides interesting sight lines and a ‘lopsided pressure difference’. Therefore natural ventilation is maintained throughout the tropical temperature of Vietnam. 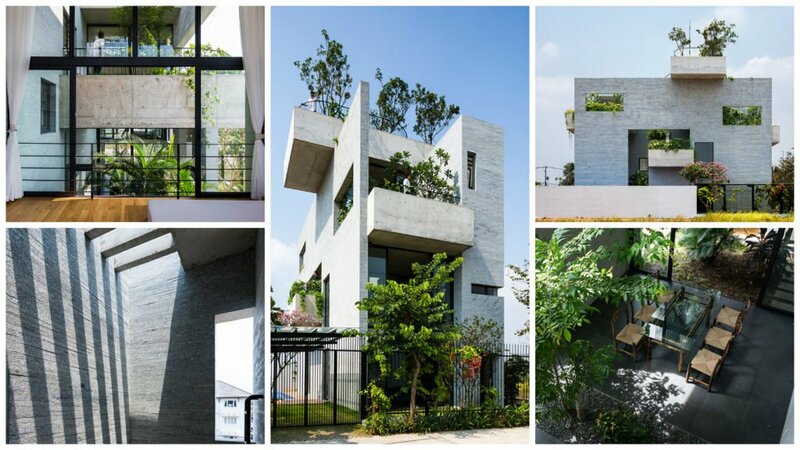 The modern house building is finish with a roof garden which hosts large trees for shade. On the exterior, a distinctive character has been create with the few rectangular fenestration revealing glimpses of the overgrown nature inside. Contemporary House Design Example for Weekend Cottage. Contemporary River Facing House Architecture. Modern Small House Design Of Contemporary Canadian Retreat. Badri Residence A Modern Indian House Architecture Paradigm. Contemporary Architecture of Modern Fort House. This is a one find affordable modern residential architecture example. The modern residential architecture styles are very important in the overall performance of the spaces and building structure, inside and outside. Using of contemporary sustainable material is best trends in world architecture, now a day. And our necessity, also. What do you think about best modern residential architects? Share your viewpoint bellow in comments. And Stay tuned for more updates on differences between modern and contemporary architecture.